Women who give birth in hospital at night are 20 percent more likely to suffer delivery complications, an alarming new study suggests. Those who deliver on holidays like Christmas have a 29 percent higher risk of issues such as ruptured uterus, an unplanned hysterectomy or a fourth-degree vaginal tear – all of which can require operations and/or treatment in the ICU. Weekends also raise the risk (by 8.6 percent) of complications. The statistics, published in a new study by Colorado State University researchers, are alarming. 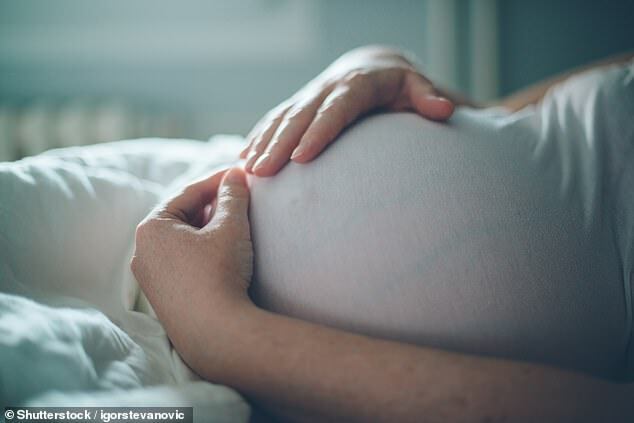 But the team insists these are necessary details that need to be addressed in scientific literature in order to curb the dramatically high rate of maternal deaths in the US – which is higher than any other develop nation’s and on par with Mexico, where half the population lives in poverty. In the US, 26.5 new mothers die out of every 100,000 live births – a figure that’s steadily rising. In Mexico, it’s 38 per 100,000, and falling. In every other developed nation, nowhere has a rate higher than 9.2 deaths per 100,000 live births. There are many reasons for that, including a lack of respect for mothers when they do raise issues, an over-prescription of C-sections, and a high rate of expectant mothers who have undiagnosed conditions because they were not covered by insurance before pregnancy. But there are structural issues too, which is what the Colorado team, run by demography professor Dr Sammy Zahran, wanted to dig into. The team studied more than two million hospital births between 2005 and 2010. They looked at labor or delivery complications including third or fourth-degree perineal laceration, ruptured uterus, unplanned hysterectomy, admission to intensive care unit and unplanned operating room procedure following delivery. The research team focused only on women with a single birth who had gestation of more than 20 weeks, a delivery attended by a physician, and a normal labor onset. The study evaluated whether delivery complications varied by day or night, increased as the hours pass within work shifts, and increased on weekends and holidays such as Christmas or New Year. The results found the odds of a mother experiencing a delivery complication are 21.3 percent higher during the night shift, and that the odds of a delivery complication increase 1.8 percent with every hour worked within a shift. Births occurring on holidays are particularly susceptible to labor or delivery complications, with holiday births being 29.0 percent more likely to have a complication. The study also explored whether delivery complication rates are higher in teaching hospitals, and whether they increase when a new cohort of doctors enter teaching hospitals in July, causing abrupt declines in physician experience and coordination between members of the healthcare team. The risk also increases by a multiplicative factor of 1.3 at teaching hospitals in July, when new doctors join. By June, after a full year of training and integration, the risk of a delivery complication at these same hospitals is statistically indistinguishable from chance. The researchers said hospitals could decrease the risk of harm to mothers by putting more emphasis on scheduling inexperienced physicians with more senior health professionals.